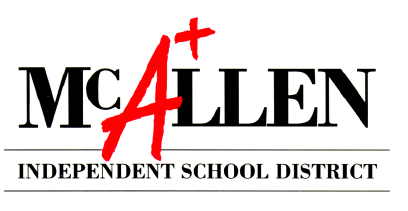 McALLEN — The McAllen school district trustees will meet Monday evening to discuss and vote on options to address current facility needs and capacity issues at some campuses. The board of trustees will meet at 5 p.m. Monday with the public portion of the meeting starting at around 6 p.m. at the McAllen High School auditorium. The board is scheduled to discuss a facilities and education masterplan which includes issues of maintenance, capacity and utilization. In March, the board reviewed the district’s needs and options during a workshop session where they discussed ideas, such as rezoning, closing campuses and even selling or leasing schools that are under capacity. Eight elementary campuses could see renovations, including Alvarez, Gonzalez, Houston, Milam and Jackson, as well as Brown Middle School and several others for an overall cost of about $68 million. Investments in science labs were also discussed for all three high school campuses and Lamar Academy, which the officials estimate will cost between $8 million and $10 million. Part of the discussion also involved rezoning of the district boundaries readjustment to adjust to the current and future enrollment and capacity of schools. The board discussed moving 200 students from Milam to Jackson to bring Milam down to 93 percent capacity, or utilization, and Jackson to 78 percent. This would also involve closure of campuses and redistribution of students to balance overutilization and underutilization. Some of the facilities that require too much of an investment to renovate could be sold to the city of McAllen or the University of Texas Rio Grande Valley, the board said during the workshop. Navarro Elementary, for example, was cited as a consolidation option. Students from the campus could be distributed between Thigpen-Zavala Elementary School and Alvarez Elementary and the newest area of the Navarro campus could be used as a Head Start facility. The conversation is still pertinent to the 2015 bond election in which the board and administration at that time noted the inadequacies and needs of many of the facilities when they proposed the $297 million bond issue, which was rejected by voters. The current board hired the consulting firm MGT of America at a cost of $150,000 to conduct a needs assessment on which the recommendations are based. But the overall message and one that trustees are expected to repeat Monday evening if they indeed vote to close down some of the most unused campuses, is that teachers and staff should not fear for their jobs.